Many of us have had times when the roll of foil ties to pull out of the box and the plastic wrap tangles, sticks to itself, and wads up in a mess. 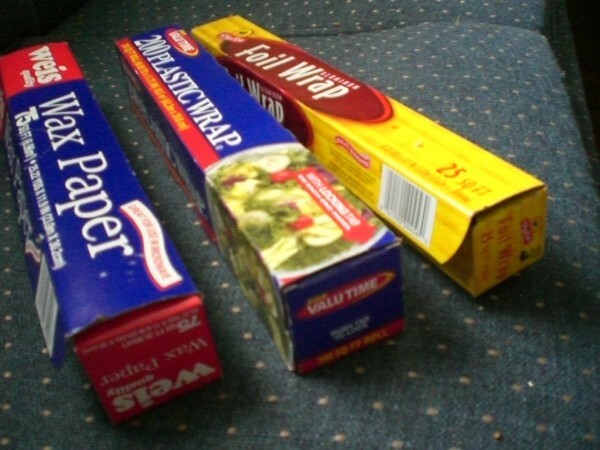 This is a guide about using aluminum foil and plastic wrap correctly. If you (like I) get frustrated when you try to pull out a sheet of aluminum foil, plastic wrap, or waxed paper and the roll goes flying out causing you to have to "re-roll" the stuff, check this out. Some (but not all) of these packages actually have little 'punch in' tabs on the ends that will hold the rolls in place! All these years and I never knew that! I noticed one of mine didn't have that option, so I used my steak knife and cut a 3 sided box shape. Leave one side uncut to allow you to push the square into the box to hold the roll. It worked! 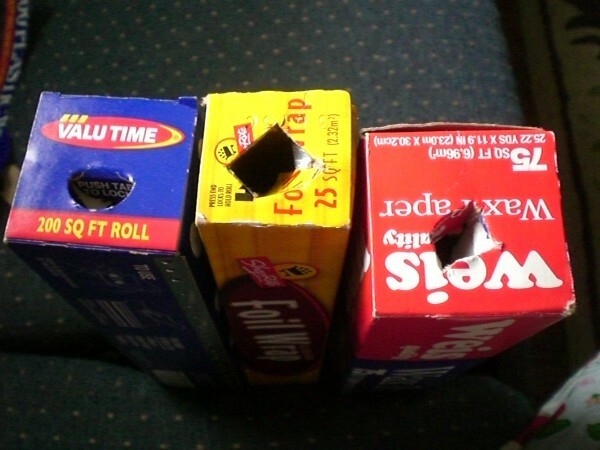 Check the ends of your aluminum foil boxes for a handy little circle or triangle. If you punch it in it will hold the roll in the box and prevent it from popping out when you rip off a piece. I never noticed it before and had to check it out. Sure enough it's there! 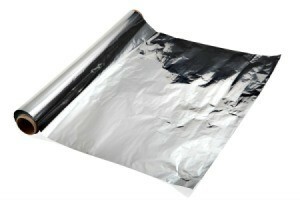 Did you ever notice that aluminum foil is shinier on one side than it is on the other? When cooking with foil (for example, wrapping potatoes for baking), be sure to wrap or cover the item dull side out - shiny side out will reflect the heat rather than absorb it, and it will take longer to cook. Go ahead, go to the kitchen and check. If you're like myself, and most likely the majority of others, your first thought will be, "How come no one ever told me about this before and why is it I never noticed until now!" The next thing you'll do is 'press the tabs' to test it. "Thank you for your inquiry regarding Reynolds Wrap Aluminum Foil. In our continuing efforts to meet the needs of our consumers, our cartons have end locks to hold the rolls in place. This feature was added in 1996. Press in the perforated tabs on each end of the carton before your first use. Good God! Here I am 63 years old! And never knew that! Thanks so much!